There are many different kinds of puzzles and brain teasers on the website. But we have not posted yet a brain teaser in which one has to watch the video and then solve something. This is first time we are posting the video puzzle. After looking at the response of this video, we are going to try more similar puzzles in future. 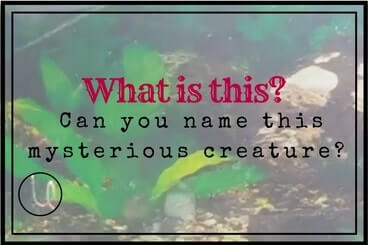 In this video there is one mysterious creature along with the fishes which is floating up and down. Do watch the full video to see this mysterious creature clearly. Do let us know what do you think Who is this Mysterious Creature? 1. Can you find hidden C? : It contains 5 visual puzzles in which you have to find the mentioned number of letter C.
2. X-Sums Sudoku Puzzles: If you like solving Sudoku puzzles, then try out this very nice Sudoku variation. 3. Eye Test-Picture Puzzles to find hidden Letters/Numbers: Do you have a good observational power? Try out this Eye test in which your challenge is to find hidden letters or numbers. 4. Brain Teaser Riddles for interviews with answers: Try out these fun riddles which will not only twist your brain but also prepare you for job interviews.